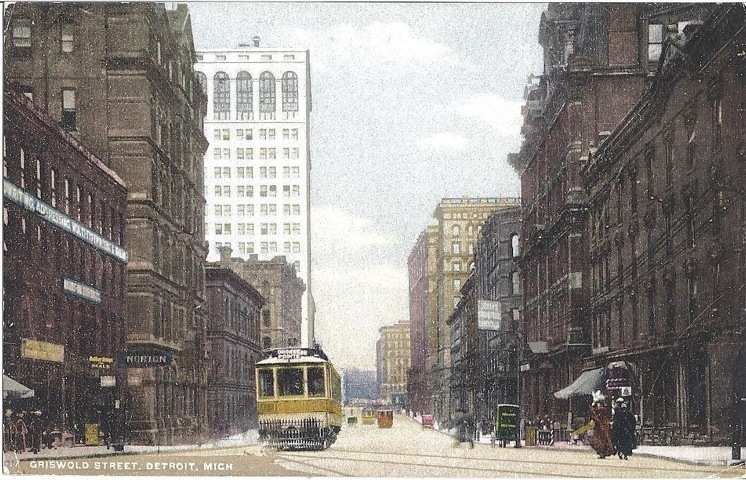 So… a fairly unknown fact about me is that I collect old postcards that relate to Detroit architecture. Since I need to catch up for my lack of posting something yesterday, here’s a postcard that I recently picked up at a postcard show. What I like about this postcard is the historic view of Griswold Street, the financial district’s “main street”. Although the concept of a waterfront center was proposed by Mayor Hazen Pingree in 1890, at the time this photo was taken the north/southbound streets ran right to the water. I’m guessing that this postcard is close to the first part of the century. At its oldest, it could be from 1912, since we can see the Daniel Burnham’s Dime Building clad in white terra cotta on the left side of this image. Diagonally from the Dime Building, we can see the original Union Trust Building built by Donaldson & Meier in its 1896 Beaux-Arts style. Additionally, I love that this postcard has the image of the streetcar. See? Detroit was on track (literally) with public transportation over a century ago. What was your favorite historic Detroit memory? Did you ride a streetcar to Hudson’s? 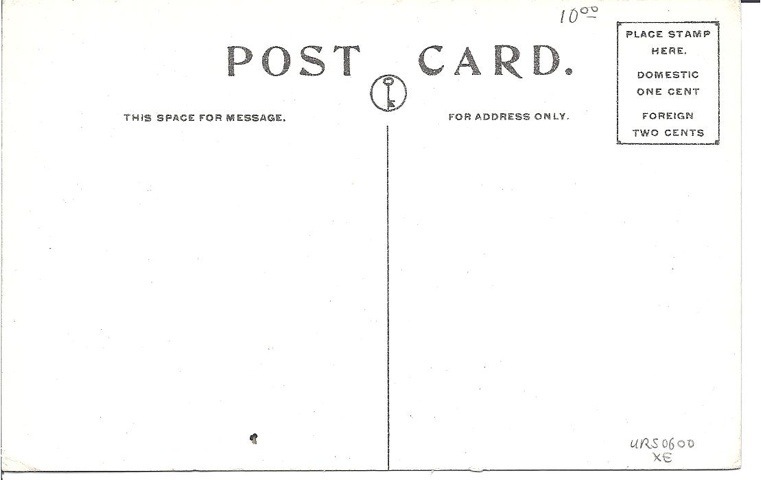 The use of one cent stamp for postcard use began in 1898. Jack, there are many! I’ll plan to post some soon.